From Steven and I here at Damsel of the Faith blog, we wish all of our readers a happy and holy New Year! 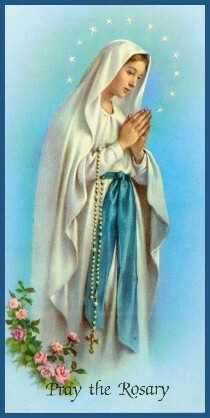 As my pastor reminded me today, Happy 100th Anniversary of the Apparitions of Our Lady of Fatima, as well. Let us continue to pray that the Consecration of Russia happens soon, for it is very late and God is much offended with the state of the Church and the world. Give thanks to God for all the blessing received this past year. Te Deum Laudamus! This entry was posted in Fatima, Our Lady and tagged Fatima, New Year, Our Lady on January 1, 2017 by damselofthefaith. 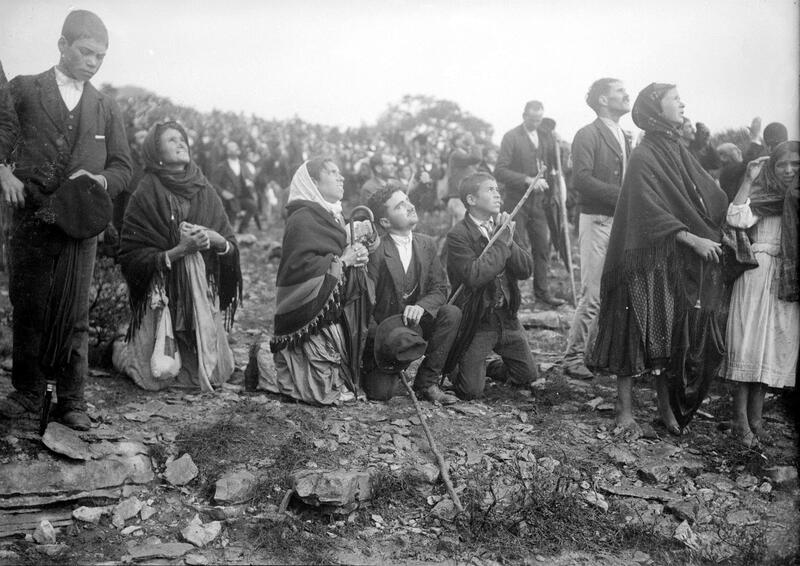 The Apparitions at Fatima were not only approved by the Church but were further authenticated by a Miracle of Biblical proportions, the Miracle of the Sun performed by God through His Mother at Fatima, to prove that She had appeared there. To those skeptics of the miracle, remember that God stopped the sun for Moses so that Israel could win the battle against the Amorites. Could the Miracle of the Sun be a foreshadowing of the victory over satan and Modernism that would be won by the Triumph of the Immaculate Heart of Mary? Our Lady, Queen of the Most Holy Rosary and Queen of the Universe, ora pro nobis! This entry was posted in Fatima, Uncategorized and tagged Fatima on October 13, 2016 by damselofthefaith. (I’m re-blogging last year’s post on the Feast of Our Lady of Fatima, commemorating her first appearance at Fatima on May 13, 1917. Today is the 99th Anniversary of Our Lady’s Apparitions. She came to warn us because she loves us and desire the salvation of all her children. Let us remember to keep the whole message of Fatima and pray that the Consecration of Russia happens soon! This entry was posted in Fatima, Our Lady, Uncategorized and tagged Fatima, Our Lady on May 13, 2016 by damselofthefaith. This entry was posted in Catholic, Fatima, Our Lady and tagged Catholic, Fatima, Our Lady on October 13, 2015 by damselofthefaith. “The Church, dear brethren, places before us to-day, as the object of our devotion on this feast, the Heart of Mary in what may be called its characteristic virtue–its purity. Purity has been called “Mary’s virtue,” not because she had it in fuller measure or in greater brightness than the other virtues contained in the absolute fulness of her grace, but because it best suits our view of the Virgin Mother, and because it has been ever held the special grace and charm of womanhood. But this is not the feast of Mary’s Purity (that is kept on another day), but of Mary’s most pure heart: that is, it is the feast of that wondrous union and interdependence, in the character of our Holy and Immaculate Mother, of purity and love. It will instruct us to-day, and also help us to honour our Lady in the spirit of her feast, if we reflect for a few moments on this union. We shall find that Mary’s purity of heart came from the love of her heart, and the sorrow perfecting that love; and we shall learn that in love and in sorrow are to be found the surest foundation and the lasting protection of our own purity of heart. For think, brethren, how could it be otherwise. Loving Jesus as Mary did, how could her love know that mixture of other love which alone could make her love impure? What drop of tainted earthly love could find room in the crystal vessel of her heart, full to the very brim of the heavenly love of Jesus? Her warm, womanly heart, so gentle and tender, so fitted and attuned to the finest pulsations of love–made by the Eternal God to be, next to the Heart of Jesus, the most perfect instrument of love, that heart had found complete and perfect rest in the love of God–in the love of its Jesus, and what more could it hold? Love filled that inner house, occupied every chamber and stood at the door, so that no other love could enter. Thus was Mary’s love the cause and the guard of Mary’s purity–enough of itself to be the full account of Mary’s stainlessness. But yet another cause we seem to see. 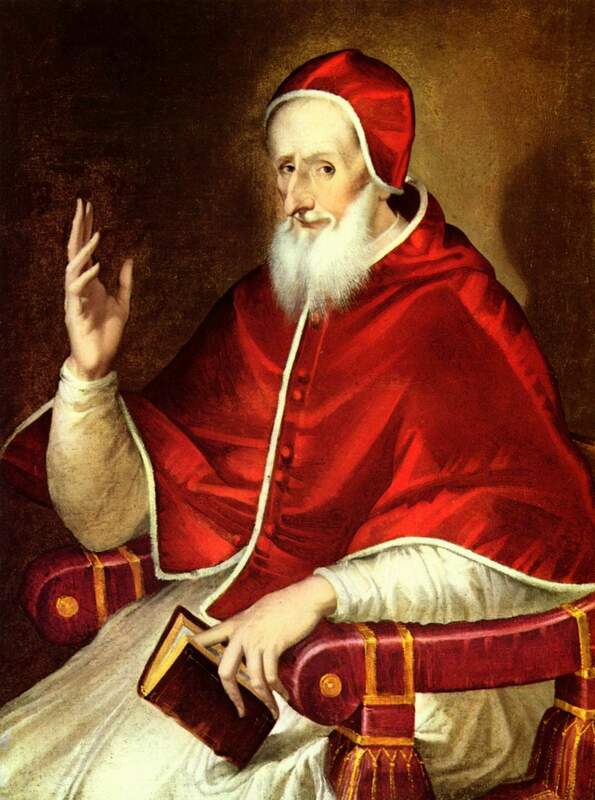 I say “seem,” brethren, for in a perfect work, such as Mary’s heart is, we find that the virtues are not separable in themselves or in their causes, as they are in works less perfect. In fact, the unity of God’s holiness, in Whom all perfections are as one, seems thus reflected in His most perfect creatures. It is, then, only as of another phase of Mary’s love that I would speak of Mary’s sorrow. She sorrowed because she loved, and for her love; and the purity that was founded in that love takes, in our eyes, its lustre and refinement from that sorrow. The Holy Scriptures speak, as men have in every land and literature spoken, of sorrow typified by fire. Prophet and poet are one in telling of the fire of affliction, the furnace of pain; and when the passing woes of earth shall find their awful and eternal home in Hell, they shall dwell there as in a pool of fire. But it is in the purifying qualities of sorrow that has been found the fitness of its comparison with fire. Not to mention many passages in the Old Testament, St. Peter speaks of the soul made sorrowful in divers temptations like the precious gold which is tried by the fire: and St. John commends gold fire-tried, and in the next verse explains this by the words: “Such as I love I rebuke and chastise.” You know that gold, though so precious, is seldom (if ever) found pure. It has to be made pure by the process of fire: the dross is thus taken from it, and nothing but the bright ore remains. This entry was posted in Fatima, Immaculate Heart and tagged Catholic on August 22, 2015 by damselofthefaith. Please remember Father Gruner in your prayers, a good friend and a true Catholic Crusader. 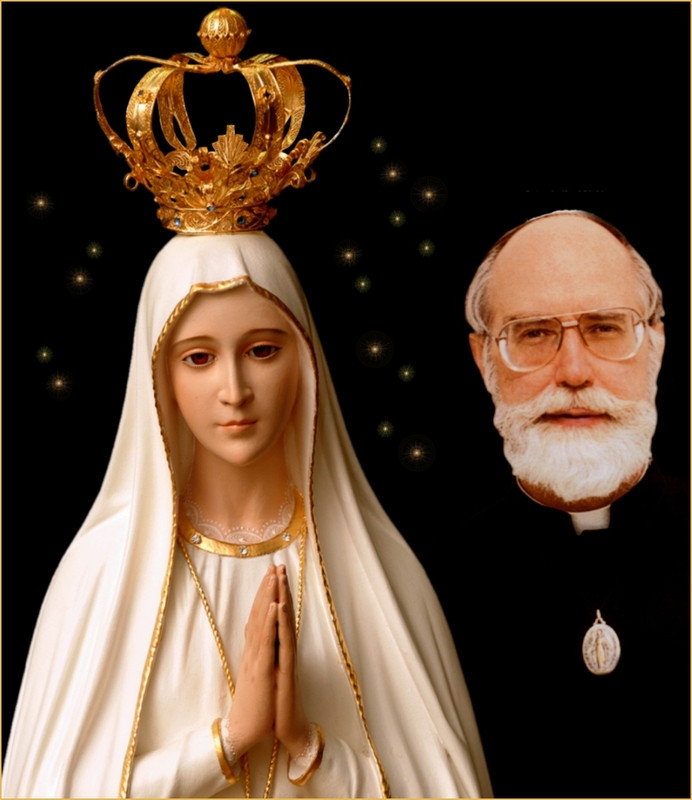 A great Crusader for the Church and the Mother of God at Fatima has met his Judge. 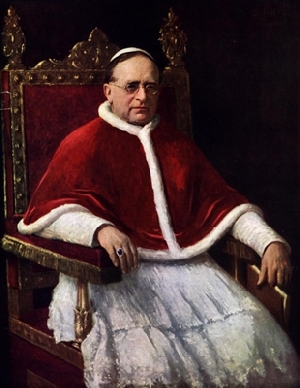 May God have mercy upon him and reward him eternally for his faithfulness to the message of Fatima and the requests of the Mother of God, most importantly the Consecration of Russia and the Five First Saturdays. Could the death of Fr. Gruner symbolize the eclipse of Fatima, for now there is nobody to cry out in the wilderness of the Church for Our Lady to be heeded and obeyed before it is too late? Is this the way you are to treat the dead? What does “Now he knows the truth” mean? Are you implying that this faithful Priest of Our Lord went to hell? And, praytell, what is his crime that warrants attack from so many sides of the Church? Crying out that the Mother of God has not been obeyed? You cry out for obedience, but you don’t explain why Our Lady of Fatima has not been obeyed by the Pope and the Bishops. Since obedience is as important as you say, how come it has been almost a century and Our Lady of Fatima is ignored and her requests brushed under the rug, only left in the light by one brave Priest, Fr. Nicholas Gruner, who saw it as his rightful duty to continue bringing to the attention of the Church, the answer to the problems of not only the world, but the Church? Do you not realize that if it was not for Fr. Gruner the message of Fatima would have long been forgotten in the heap of Modernism? Do you not believe that the Mother of God at Fatima asked for the Consecration of Russia for world peace? Why do you wish to destroy the messenger, if not to destroy the message? Fr. Nicholas Gruner was an Apostle of the Latter Days, a valiant defender of Our Lady. May she intercede for him. For the love of God, Fr. Nicholson, please reflect upon the situation of the Church and pray that Our Lady of Fatima be soon obeyed and the fruits of the Apostolate of Fr. Nicholas Gruner brought forth by the eventual Consecration of Russia and triumph of Our Lady’s Immaculate Heart. A final word on Our Lady of Fatima: She is the Woman of the Apocalypse, the Woman clothed with the sun, with the moon under her feet and on her head a crown of twelve stars. Eternal rest grant unto Fr. Nicholas Gruner, O Lord, and let perpetual light shine upon him. May he rest in peace. This entry was posted in Church crisis, Fatima and tagged Crisis in the Church on April 29, 2015 by damselofthefaith.